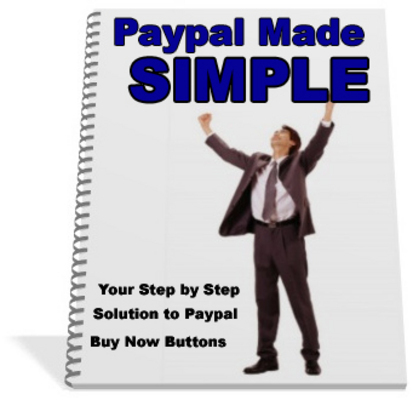 Your step by step solution to Paypal. Bu now buttons. Many people would like to get into Internet Marketing and sell resell products or even their own products. Although there is a lot of information available to Newbies on how to become involved with IM, how to find good products to resell, how to build a website, and more; many newbies find themselves a little stumped when it comes to adding a Paypal Buy Now Button on their new sales pages. Unfortunately, Paypal doesnt give the best how to information in their FAQs either. I noticed this problem when a friend of mine that makes quite a bit of money in AdSense Revenue and is very proficient with HTML and web design came to me and said, I have never added a Paypal Button to any of my sites because I dont have the time to learn how to do it by myself. Can you help?